So what’s Multiplayer like? It’s excellent. If you’ve played Total War before you’re in familiar territory. I played as dwarfs and came close to winning the first time against vampire counts. I was hammered soundly by Bretonians. Yes Brets. The multiplayer battles allow up to 3v3 with six races in there. Empire, Dwarf, Bretonians, Chaos, Vampire Counts and Green skins. I was impressed with the graphics engine. I dialed the detail all the way up and it was still as smooth as silk. The game looks gorgeous. I think they have the versus battles down pat. 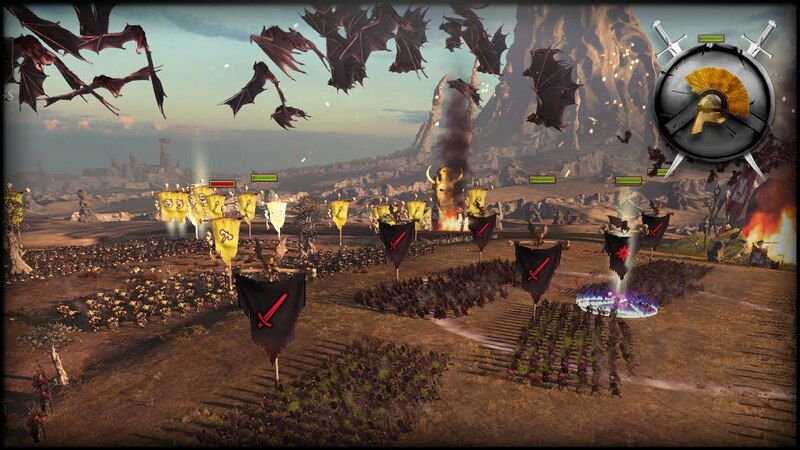 It captures the spirit of Warhammer really well but is still very much Total War. Now the multiplayer campaign is a different matter. it IS only two players but can be played versus or co-op. Also Brets aren’t in there for campaign. I would have liked more players but it’s OK we can do our campaign map outside the game and do our battles online (I have a plan)…. Lemme know the story with the map based campaign- would love to take part or to think the idea for locally.